Leader in Me’s alignment for impact is another reason why the program has been certified a CASEL SELect program for PreK-Elementary. 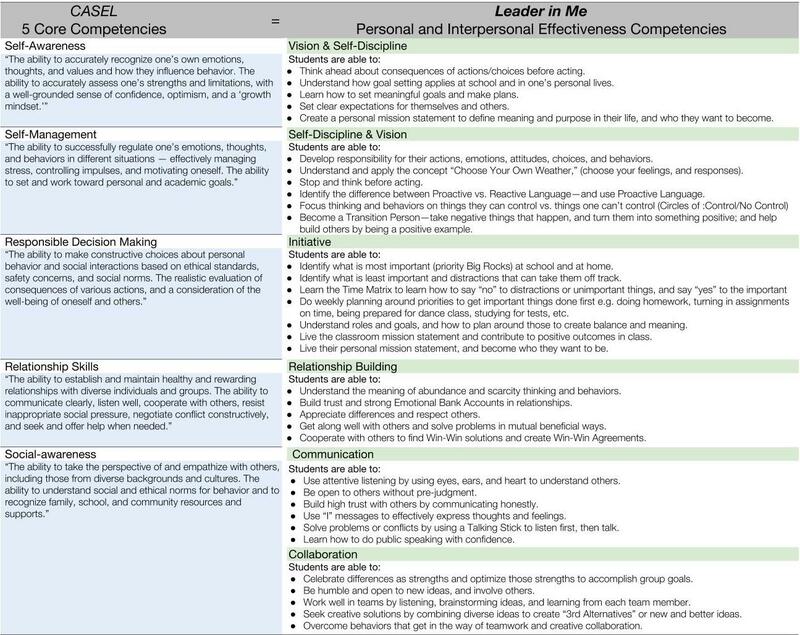 In this blog, we give some insight comparing CASEL’s 5 Core Competencies and Leader in Me’s Personal and Interpersonal effectiveness competencies. Social and emotional learning (SEL) skills are foundational to a successful life and career. When these skills are applied in social contexts, they promote successful self- management, communication, collaboration, and meaningful, high-trust relationships. When applied in educational settings, social and emotional learning strengthens the development of vital skills, such as responsibility, resilience, focus, goal-setting, prioritization, empathy, communication, collaboration, and motivation. 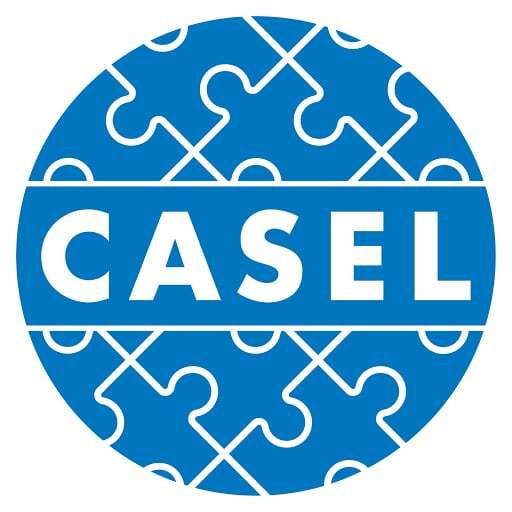 The Collaborative for Academic, Social, and Emotional Learning (CASEL) is a renowned authority on the promotion and practice of social and emotional skills. In particular, their work promotes the integration of academic with social and emotional learning for students from pre-K through Grade 12. 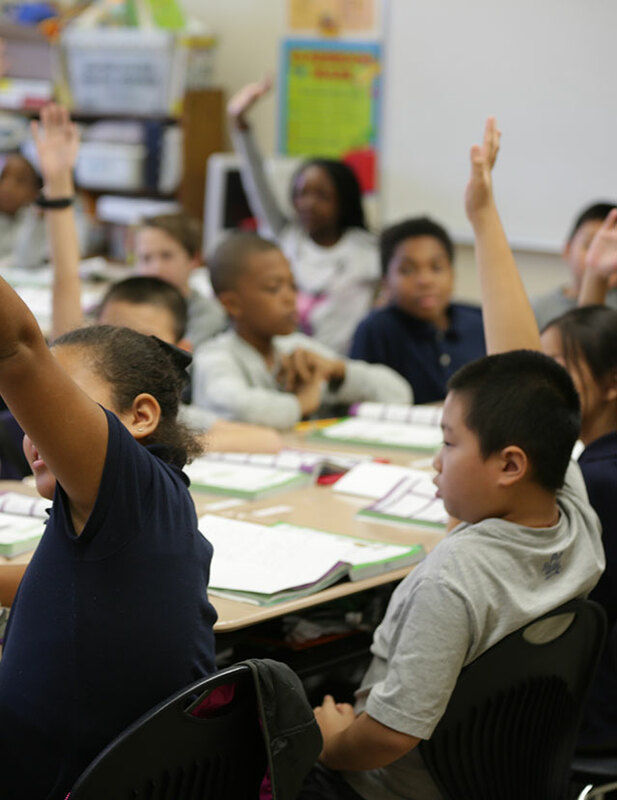 Through their collaborative work with researchers and educators, CASEL has identified five core social-emotional learning competencies: self-awareness, self-management, social awareness, relationship skills, and responsible decision making. 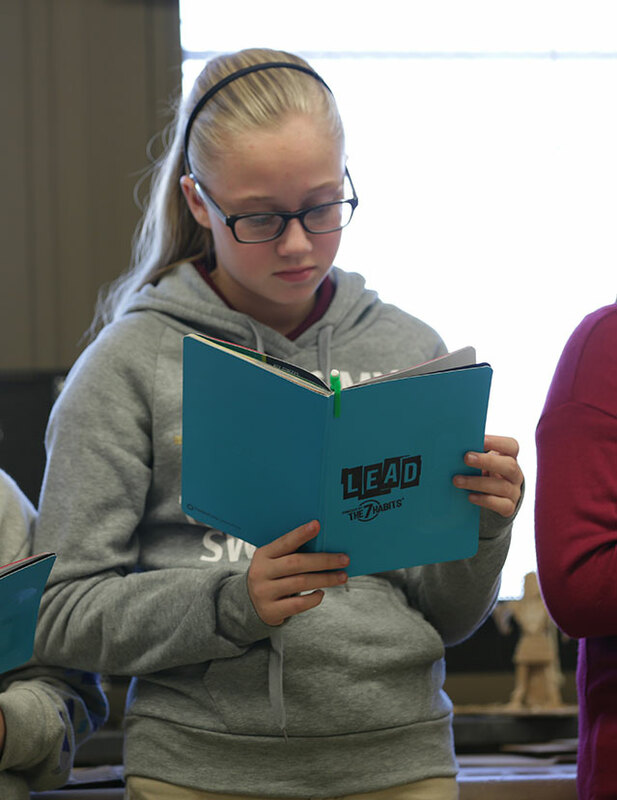 Leader in Me is a whole-school transformational model that empowers students, staff, and families with the mindset, knowledge, and skills to be life-ready leaders. Essential to this leadership development is its unique approach to student-led learning and applying effective social and emotional skills in real-life situations. 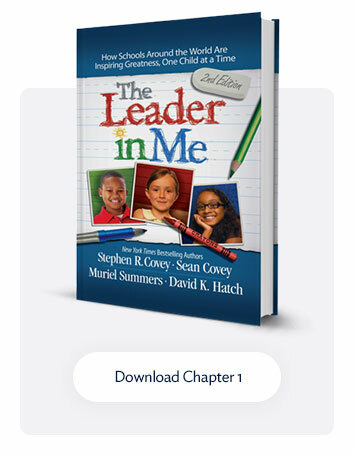 Leader in Me Schools accomplish this by incorporating Leadership principles and practices schoolwide, which includes in Me Framework and The 7 Habits of Highly Effective People schoolwide, which allows schools to build systems that empower students to learn and practice leadership skills—both at school and at home. 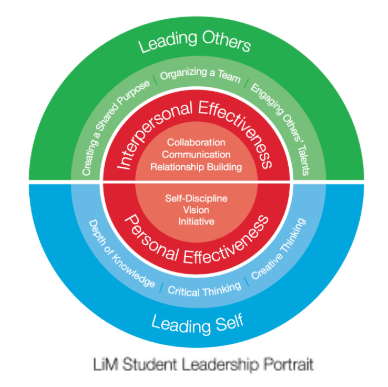 The end in mind is to develop leadership competencies in students, starting with “Leading Self, Then Leading Others.” The Student Leadership Portrait is comprised of 12 competencies across four leadership domains. 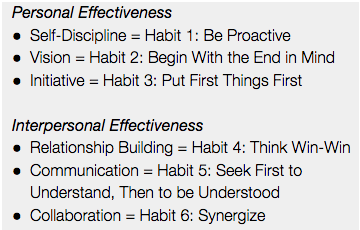 The six competencies of Personal Effectiveness and Interpersonal Effectiveness are at the heart of life-ready leadership and broadly represent Habits 1-6. 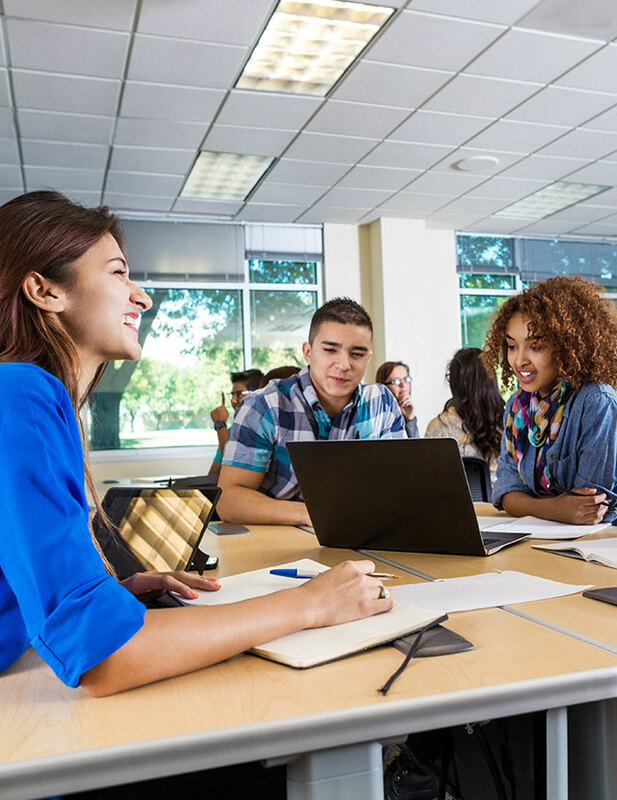 As a student develops SEL competencies, aligned to each of the 7 Habits, their ability to apply them, to both their life and academic pursuits, expands. When paired with an empowering school environment (physical and emotional) with student voice and choice and student-led learning, leadership competencies transform into lifelong skills for success now and in the future. This further development is represented in the “Leading Self” and “Leading Others” domains. We will discuss the development of these skills in the upcoming blog, Part 2. 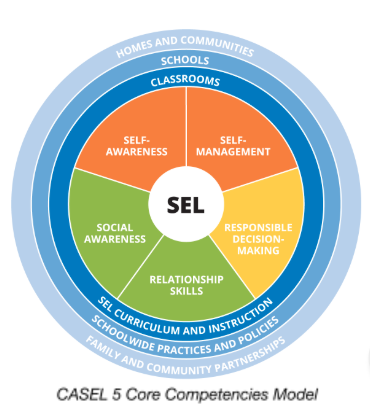 The Leader in Me Student Leadership Competencies are closely aligned CASEL’s Five Core SEL Competencies. Both models emphasize the need for students to develop regulation and management of self, and to cultivate skills that foster successful relationships with others. In the table below, we align the two models, linking the definition of CASEL competencies to the expected outcomes of its corresponding Leader in Me leadership competencies.